A huge box office hit and met with raving reviews, The Martian is a tale of ingenuity and the perseverance of the human spirit. In The Martian, astronauts work to collect samples on Mars, but when a severe storm suddenly besieges them, the crew decides that they should leave the planet and cut their mission short. 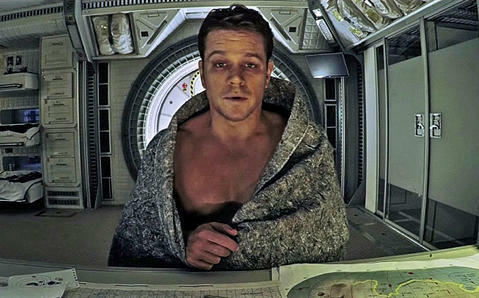 On the way to their shuttle, however, the astronauts have to actually walk through the storm, and when they do so, one of the astronauts (Mark Watney as played by Matt Damon) gets hit by debris. Watney quickly disappears into the storm, and believing him to be dead, the rest of the astronauts leave him behind and begin their journey back to Earth. Unfortunately for Watney, he is very much not dead, so now stranded on Mars, he must figure out how to survive on the planet until the next batch of astronauts arrive. The Martian passes the Bechdel and race test but does not pass the Russo test. Watney does a log and reports that he is very much alive. The Martian is predominately composed of men but there are a few (six to be exact) women in the film. Of the six women in the film, only two ever speak to each other (Lewis and Johanssen), but because these women have names and there a couple of occasions where they speak to each other without mentioning men, the film passes the Bechdel test. 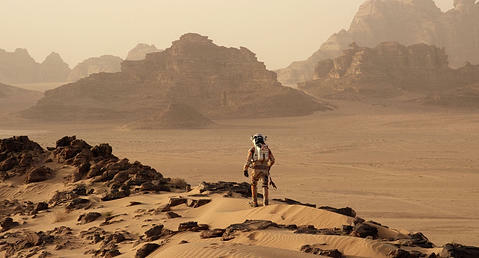 The Martian also passes the race test, and the film passes this test because there are two instances where non-White people talk to each other without mentioning White people (e.g., Kapoor asks Bruce about a 97’ crew of engineers and technicians and Kapoor and Bruce confirm an aspect of a mission with each other). As to the Russo test, The Martian does not pass this test, and the film does not pass this test because there are no LGBTI characters in the film. Posted in Bechdel, Russo, and Race Test, Domestic, Film and tagged Bechdel, Chiwetel Ejiofor, Donald Glover, film, Jeff Daniels, Jessica Chastain, Kate Mara, Kristen Wiig, Matt Damon, Michael Peña, Race Test, Ridley Scott, Sean Bean, TV, Vito Russo. Bookmark the permalink.